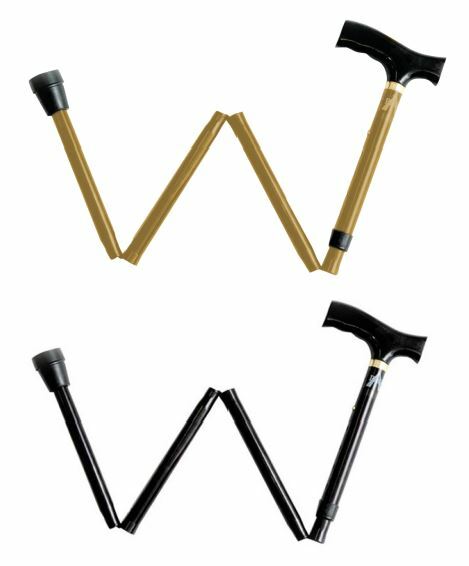 ProBasics Folding Canes fold easily for storage or travel. The comfortable T-shape grip reduces hand stress and fatigue on the wrist for maximum comfort. Available in two different color finishes with a limited lifetime warranty. Supports patient weights up to 300 pounds. 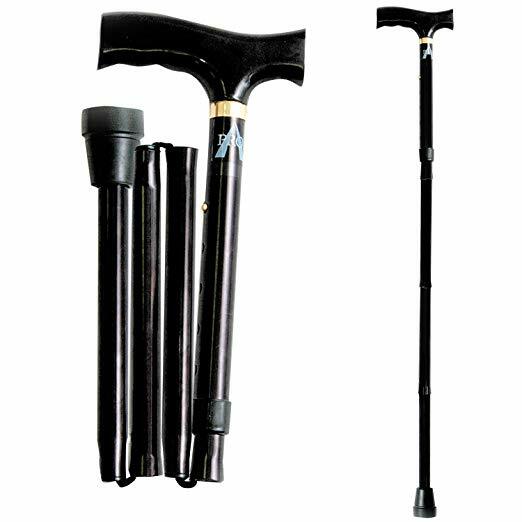 Cane folds in 4 separate parts for convenience and easy storage. Easy-to-use one button height adjustment with locking anti-rattle ring allows for quick, safe, and optimal fitting for each user. Adjustable in 1 inch increments. Comfortable, contoured "Offset" / T-Shaped handle. Aluminum frame is lightweight and easy to clean. Attractive powder-coated color finish available in Black or Bronze color options. Select desired color option above. Limited lifetime manufacturer's warranty on frame, 90 days on all other parts. Height Adjustment Range: 32.5" - 36.5"
*Medical Providers are responsible for determining appropriate billing codes for Medicare Program / Private Insurance claims. This information is included for your convenience and is not intended, nor should it be considered, as billing advice.